Mystery Fanfare: Elaine Flinn, R.I.P. It was a sad day yesterday when the mystery community learned of the death of Elaine Flinn, author, antiques dealer, comedian, friend. Elaine Flinn passed away Saturday night as the result of complications due to pneumonia and cancer. 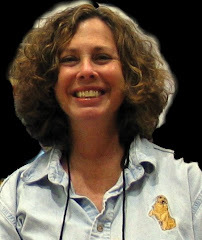 Elaine, a former Bay Area antiques dealer, created Molly Doyle, a Carmel, CA, aniques dealer in Dealing in Murder, her 2003 debut novel that was nominated for an Agatha, Gumshoe, Barry and Anthony (2003). Tagged for Murder (2004) won the Barry Award. Two more Molly Doyle novels--Deadly Collection and Deadly Vintage followed. Flin was one of the founding members of Murderati. And, it was during her time at Murderati that Flinn developed the Evil-E persona for which she became so well-known. I was lucky to have known Elaine, and we shared laughter and fun at conventions and bookstores over the years. I will miss her. I know she was looking forward to Left Coast Crime 2009 in Hawaii. L.J. Roberts tells us more about Elaine in the Rap Sheet today. 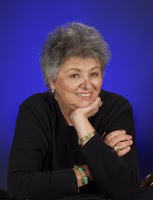 Mystery authors remember Elaine today in Louise Ure's blog at Murderati. And don't forget the passing of Tony Hillerman. It's a sad week for the mystery community. I got to know Elaine Flinn through DorothyL. She was a very generous and warm person. I love her Molly Doyle series set in Carmel, CA. I will miss Elaine very much. Tony Hillerman, a helluva guy, R.I.P.